An annual celebration of weirdness with substance. None of these films will topple my favourite of all time (in the post title) but do qualify for this most difficult brief. El Topo: While Holy Mountain might be more flamboyant with the surrealism of its imagery I have always found its remedial philosophising tiresome. 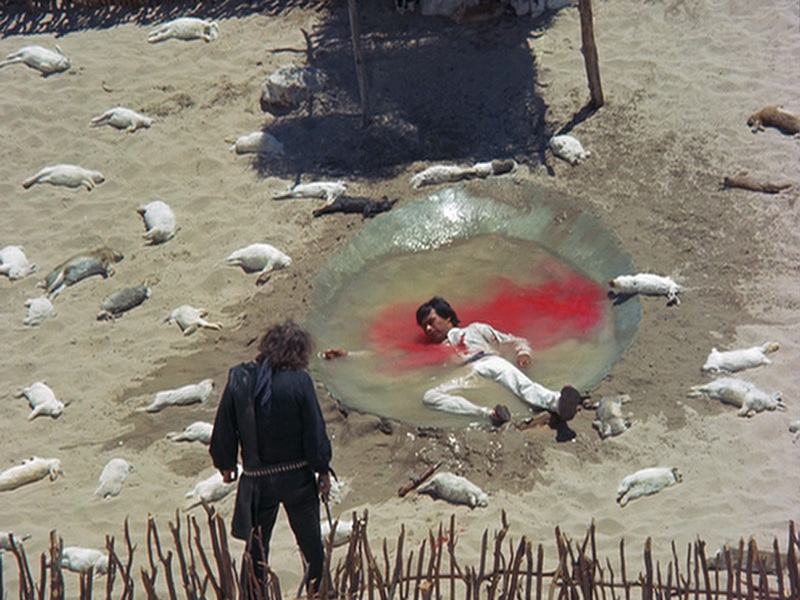 El Topo takes the machismo and nihilism of the later Western an opens doors. Also, the scenes of clowning toward the end demonstrate that at base, Jodorowsky remained a performer of real skill. Songs from the Second Floor: Jodorowsky with a side of Gravlax? Why not? 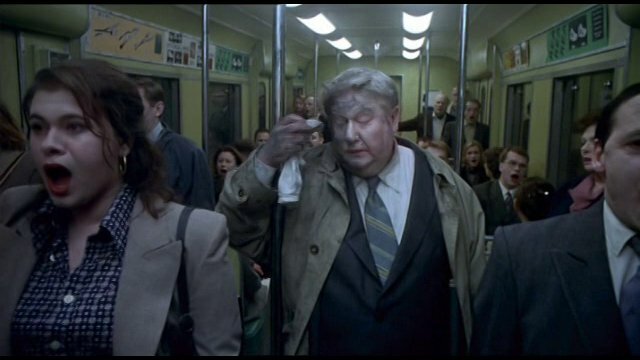 From the choral train commuters to the self-flagellating stockbrokers to the great grandfather whose dementia gleefully reveals his former Nazism to his gathered family to the astounding finale of redemption this might take some settling into but this is one you can carry around for long afterwards. Diary: Starts like a thriller with a grief theme then goes to a kind of bizarre obsession horror and then to - Well, when a new credits sequence starts running halfway through and you get a completely different telling of the same story and it's both more rational and worse you're going somewhere. The Pang brothers' other great work. Tetsuo: A character's fascination with machinery plagues him until he is compelled to become a machine himself. The transition is neither smooth nor painless but, boy, does this film mean what it says. INLAND EMPIRE: Lynch's final of his unofficial trilogy of fugue states (people making extreme psychological escapes from their burdens) is his toughest and least compromising. Returning to his roots as an impulsive but obsessive artist he finds even darker and more refulgent territory to explore. Take the subtitle "A Woman in Trouble" as your talisman and you'll make it. A rough ride but a rich journey.